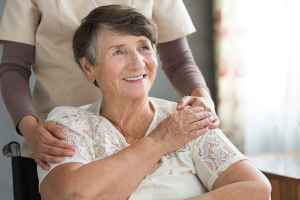 The monthly average cost for Tranquility Assisted Living Home is around $3,353. The Scottsdale average for this type of care is around $2,844. While the national average cost is around $3,063, Arizona is around $2,757 monthly. Tranquility Assisted Living Home is situated in the South Scottsdale area of Scottsdale, Arizona. They are a care home facility catering to seniors. The neighborhood surrounding this community is heavily populated, including about 34,390 people in the surrounding zip code. It is a predominantly middle income area, with a median family income of $55,343. The community is located close to many local conveniences, such as retail shopping, health care facilities, and houses of worship. They are only 1.5 miles from Scottsdale Healthcare-osborn Medical Center. There are a number of churches within 4 miles, including Scottsdale Congregational Church, Bethany Lutheran Church, Scottsdale United Methodist, and Scottsdale Church of God. There are also dozens of drug stores within one mile of the facility. Tranquility Assisted Living Home offers both assisted living and residential senior care. The facility is a good choice for individuals who need help with common chores such as preparing meals, personal hygiene, and house work, but who are able to move around and are mostly independent. They can also provide for residents who wish to remain in a small group setting and require some assitance with common self care.